Your power is back on, the debris is cleaned up, and you finally get a chance to sit on your couch and relax. As you look up at your ceiling, you notice a water stain that was not there before the most recent hurricane. You pick up the phone and call your insurance company to report the damage, but days and weeks go by without a word about your Florida insurance claims. You never get a straight answer from anyone over the phone. Eventually, you get a small check in the mail that does not even come close to covering the costs to fix your home. Now, what do you do? Florida lawmakers know that insurance companies often wrongfully deny or underpay valid Florida insurance claims. Therefore, these lawmakers enacted Florida Statute 627.428 to help homeowners in this situation. This statute provides that an insurance company must pay the homeowner’s Florida insurance claim attorney’s fees and costs if they prevail on a claim against the company. These claims include disputes over the proper adjusting of a claim, disputes over underpayment of a claim, and disputes over nonpayment of a claim. 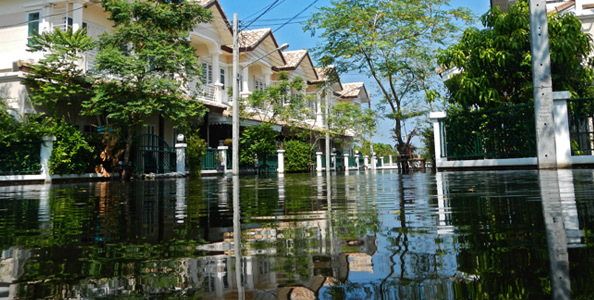 If you encounter a dispute with your insurance company regarding storm and water damage to your property, contact an insurance claim lawyer in Florida. Our team at Jenkins Law P.L. will help answer any questions regarding your claim and provide a free consult as to your legal rights and remedies.